The other day I needed to take a dessert to the boy’s school for a luncheon for the teachers. 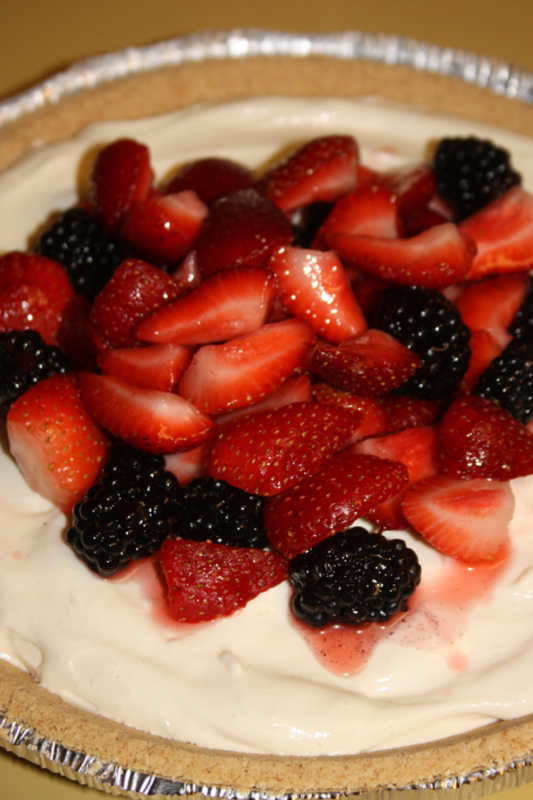 I was short on time so I was looking for a dessert that would be easy to throw together but still delicious. 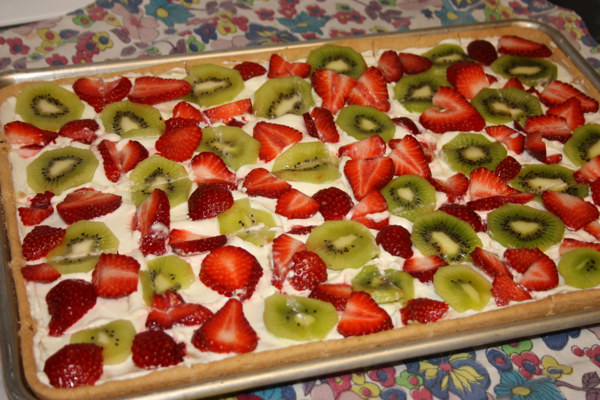 I thought about this fruit pizza that we have enjoyed several times around our table. I did adjust the recipe a bit and cooked it in a half-sheet pan instead of on my round pizza stone which is the norm at our house. It worked out perfectly. It think it was well received because when I went to pick up my pan there were only 2 pieces left. It was a great way to take advantage of the yummy strawberries that are in season and so delicious. 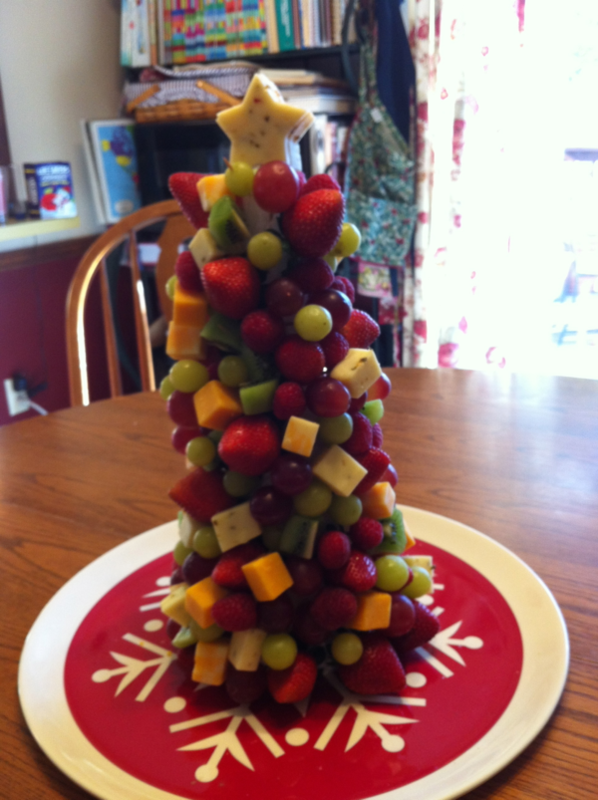 I added some kiwi for another color but you could top it with your favorite fruits. I have used mandarin oranges, peaches, raspberries, blueberries, strawberries, and kiwi. Pick your favorite fruit for topping and I know you will be pleased. 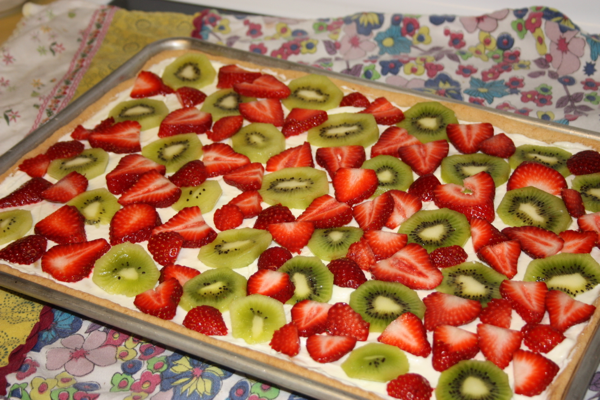 Fruit pizza cut into pieces and ready to enjoy!